Richard Sears, Psy.D., PhD, MBA, ABPP, is a licensed psychologist in Cincinnati, Ohio, board certified in clinical psychology by the American Board of Professional Psychology (ABPP), runs a private psychology and consultation practice, and is the Director of the Center for Clinical Mindfulness & Meditation. 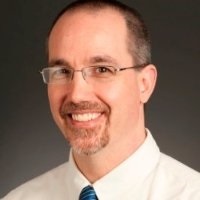 He is also clinical assistant professor at Wright State University School of Professional Psychology, clinical/research faculty at the UC Center for Integrative Health and Wellness, volunteer professor of Psychiatry & Behavioral Neurosciences at the UC College of Medicine, and a research/psychologist contractor with the Cincinnati VA Medical Center. His most recent books include: Cognitive Behavioral Therapy & Mindfulness Toolbox (PESI, 2017); Mindfulness: Living Through Challenges and Enriching Your Life in this Moment (Wiley-Blackwell, 2014); Perspectives on Spirituality and Religion in Psychotherapy (PR Press, 2014); Building Competence in Mindfulness-Based Cognitive Therapy (Routledge, 2015); and Mindfulness-Based Cognitive Therapy for PTSD (Wiley-Blackwell, 2016). Dr. Sears is lead author of Mindfulness in Clinical Practice (PR Press, 2011) and Consultation Skills for Mental Health Professionals (Wiley, 2005). Dr. Sears is a fifth-degree black belt in Ninjutsu, and once served as a personal protection agent for the Dalai Lama with his teacher, Stephen K. Hayes. He has studied the Eastern Wisdom traditions for over 30 years, receiving ordination in three traditions, and has been given transmission as a Zen master. Financial: Richard Sears is core faculty for The University of Cincinnati. He receives a speaking honorarium from PESI, Inc. Non-financial: Richard Sears is a member of the American Board of Professional Psychology, a fellow of the Academy of the American Board of Clinical Psychology and a member of the Association for Contextual Behavioral Science.